Saved sailors from the sunken German submarine U-175 on the deck of the US Coast Guard ship “Spencer” (USS Spencer), from the artillery fire of which the U-175 died. Of the 54 crew members of the boat, 13 people died, the remaining 41 were brought aboard the Spencer. 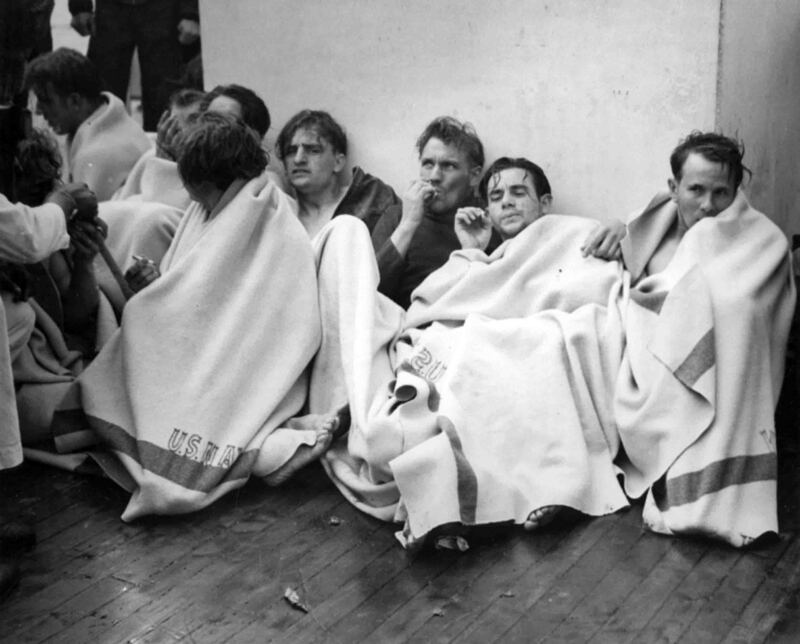 After the sailors were taken out of the water, their wet clothes were replaced with warm blankets, coffee, brandy and cigarettes; soon they were also fed with hot food.